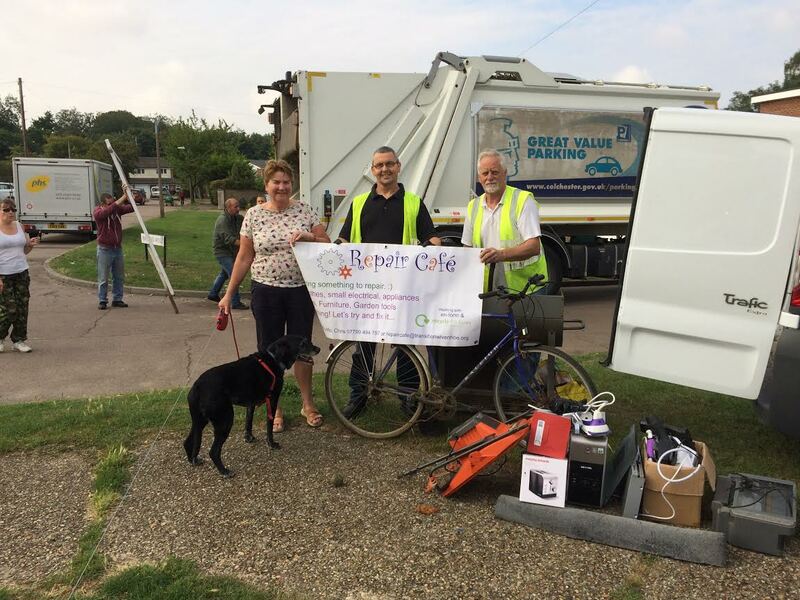 Cllr Mike Newton swings into action With Chris Blomeley from the Wivenhoe based Repair Café. It's 8am on a Saturday morning Mike helped to divert two van loads of reusable and recyclable material from landfill and channelled it back into the community via the Repair Café. Cllr Rosalind Scott gave the project her full support and has encouraged both Mike and Chris to continue this valuable community service. The Repair Café operates once per month from the Wivenhoe Library. The next Repair Café will be 5th Sept 10am-12noon. One thing coming up is the European Week of Waste Reduction from 21st – 29th November. Fix repair reuse don't throw away! Clothes, jeans shirts skirts,rips tears etc. Toys, fix broken wheels, lost screws. Furniture, Small items only please.